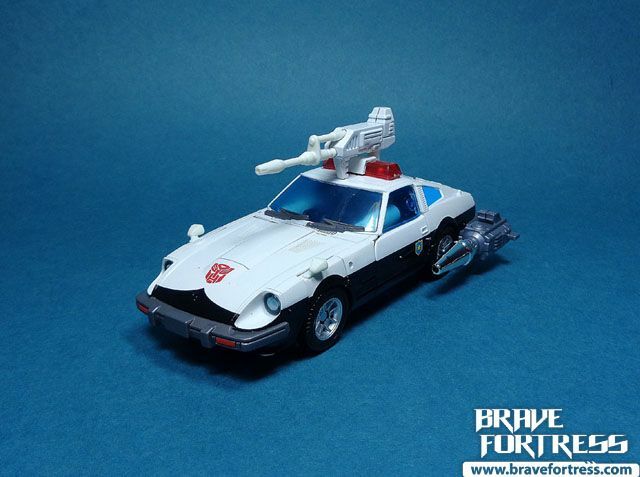 Weapons can be equipped on vehicle mode. 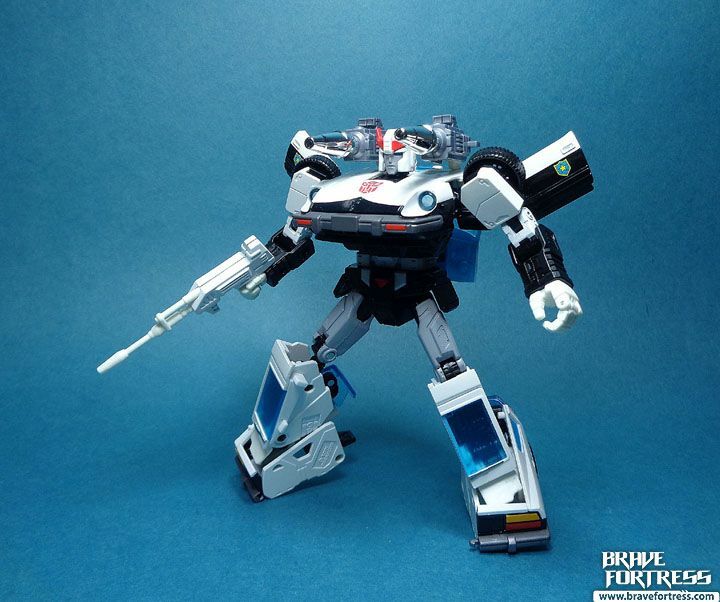 Prowl is my favorite Autobot after Optimus Prime, mainly because his character bio sets him up as the Autobot team’s strategist. 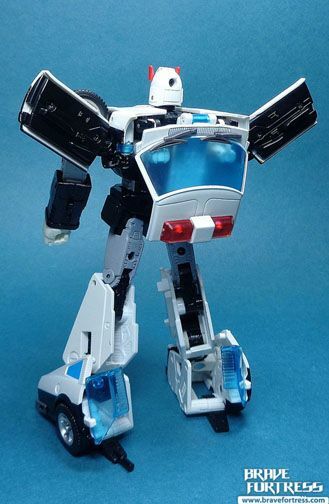 Plus I love the black and white colors on the character. 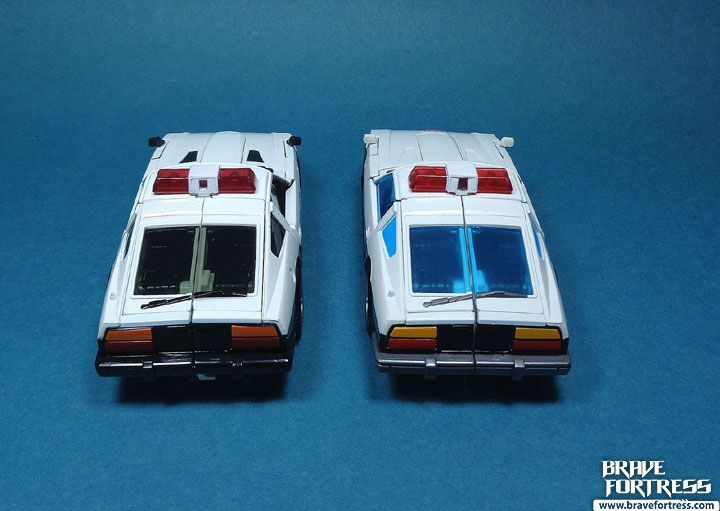 The differences of this new version are subtle compared to the original release but I love the changes. 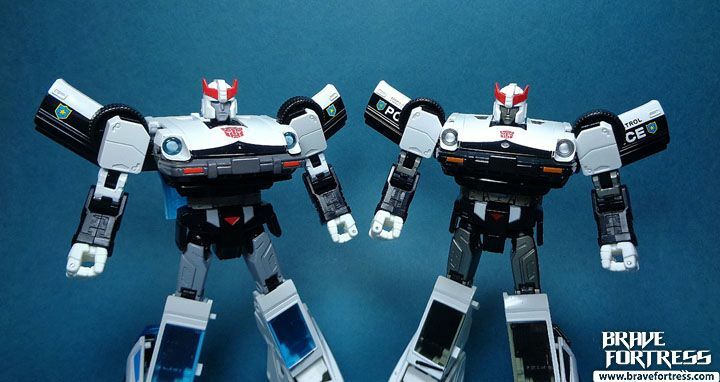 It makes Prowl look even better than ever. 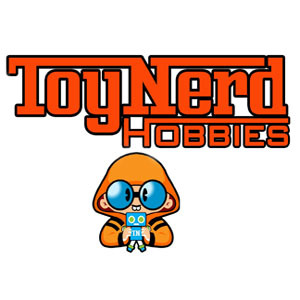 Semi-automatic rifle (Acid Pellet gun). 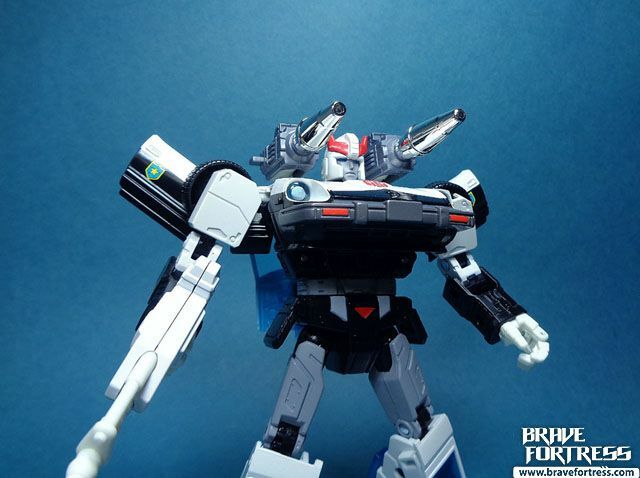 Shoulder cannons (never used in the anime). 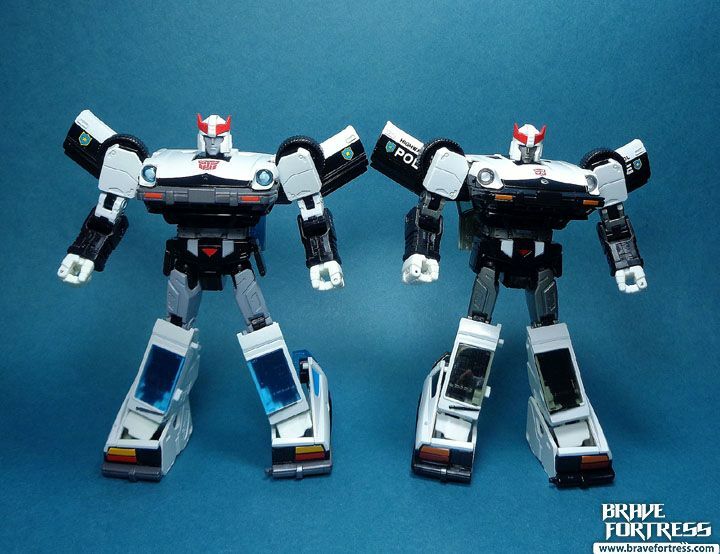 I find it super odd that Takara Tomy decided to include these with this release, as Prowl never really had these at any point in the Anime. 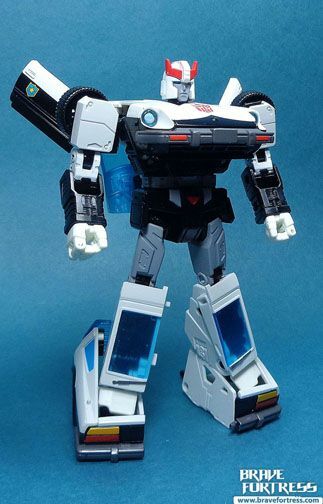 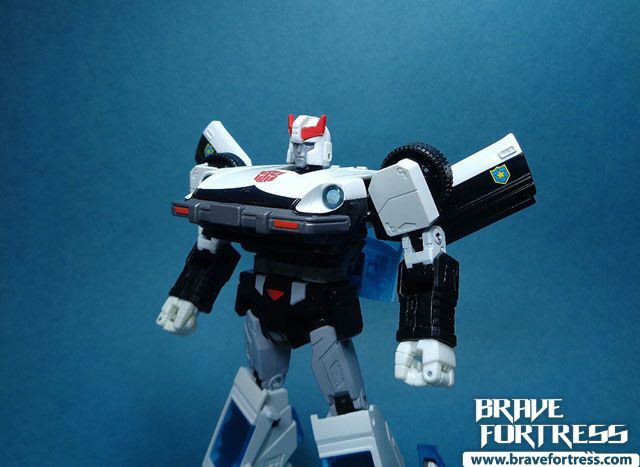 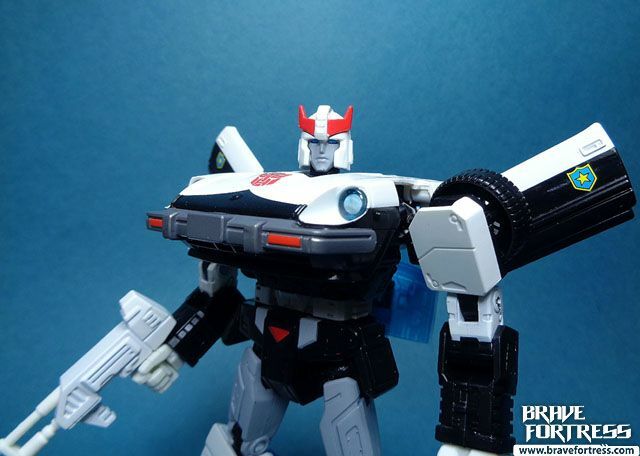 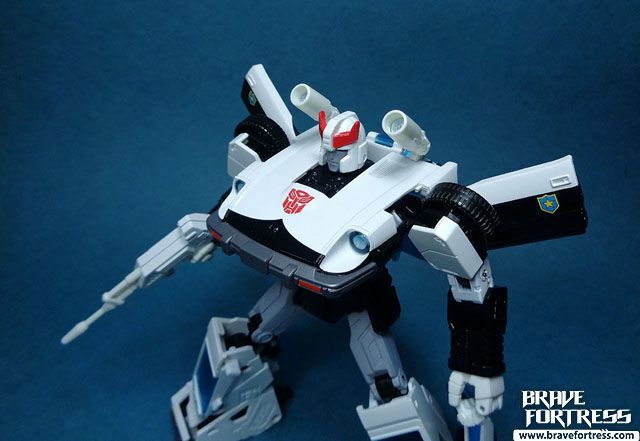 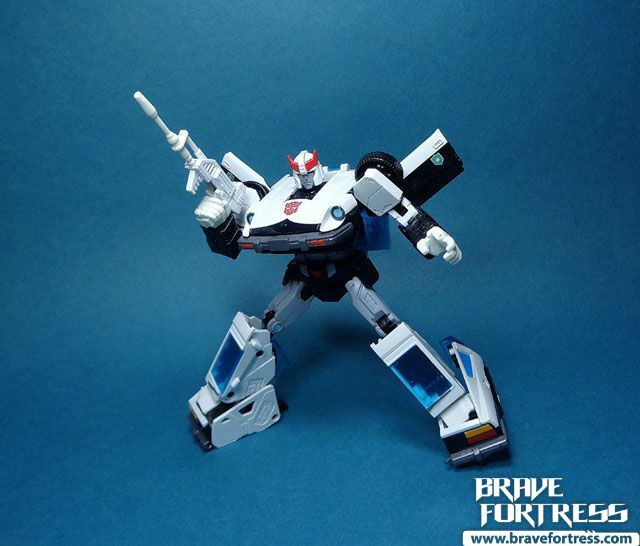 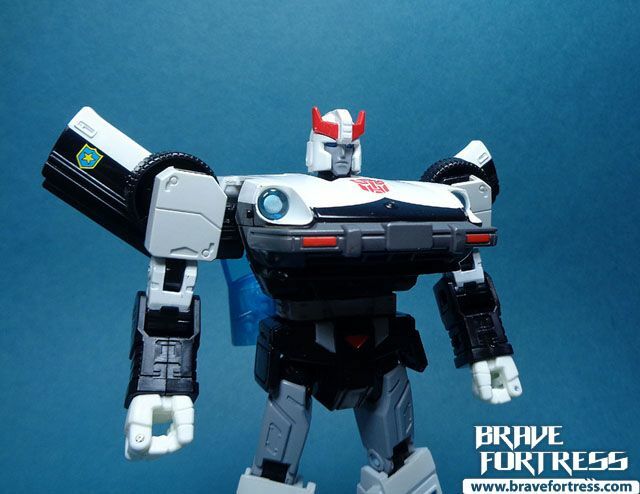 Still, it is a nice touch as a throwback to the original G1 toy. 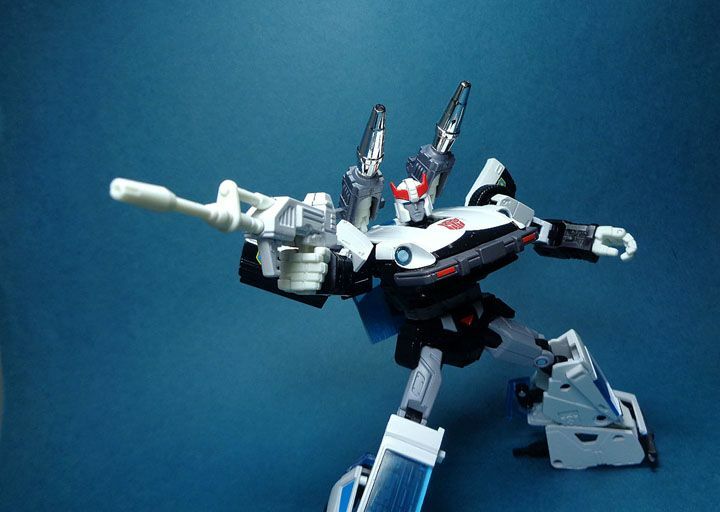 The launchers do not fire. 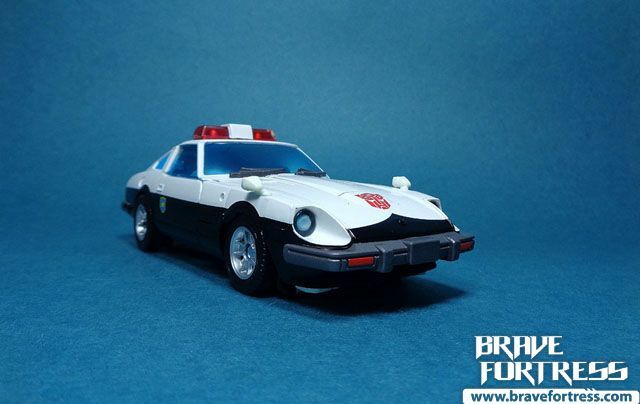 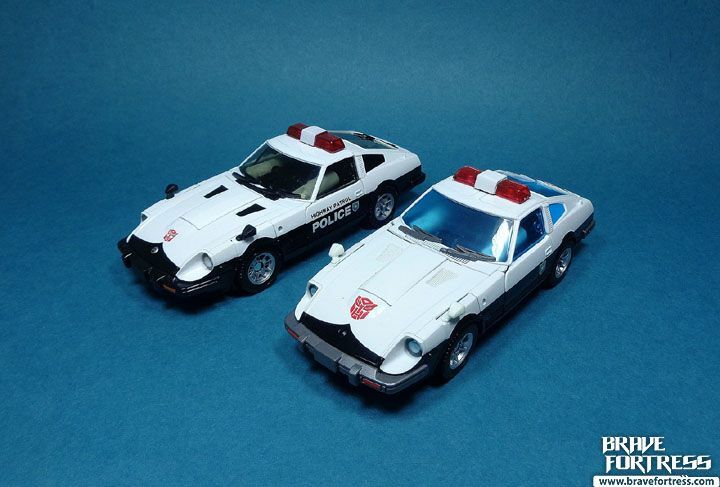 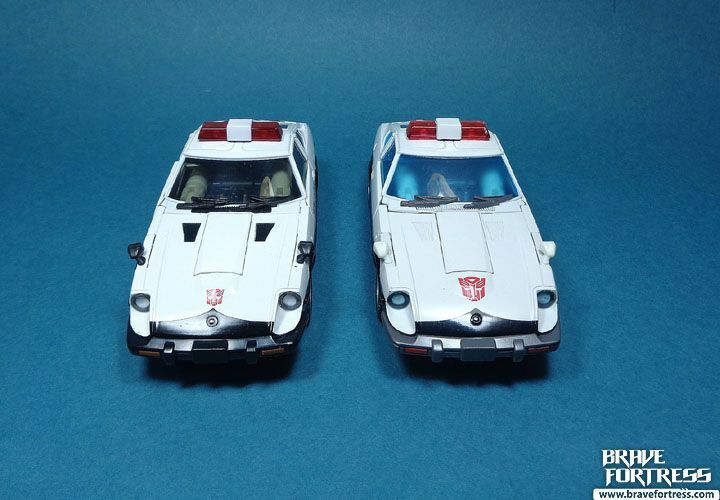 They were first released as singles instead of pairs if you bought the Nissan Fairlady Z mold Autobots (Prowl and Bluestreak) from Amazon.com Japan. 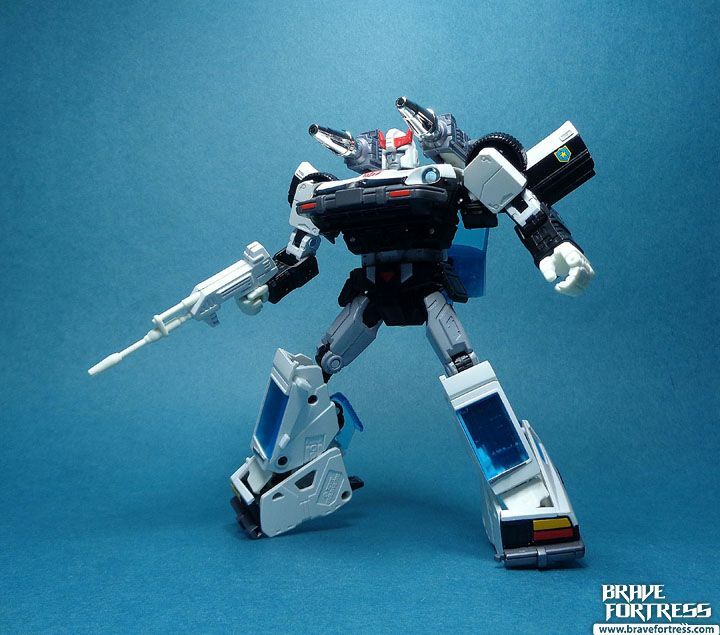 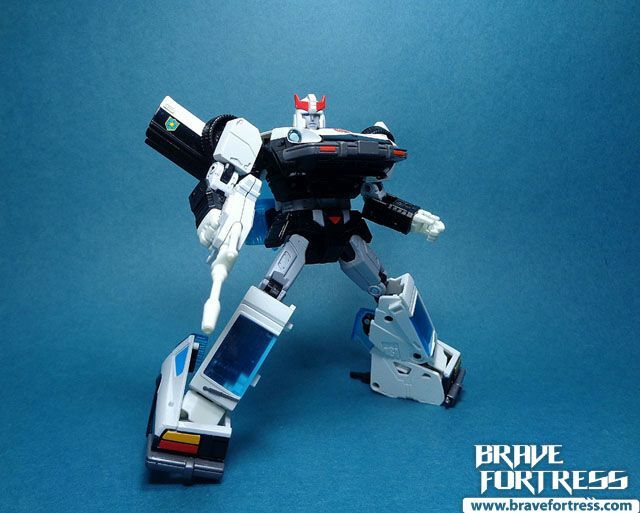 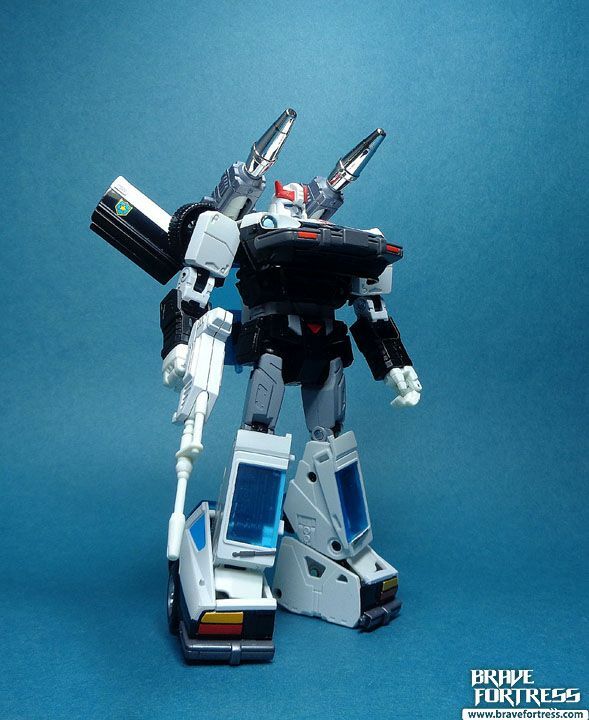 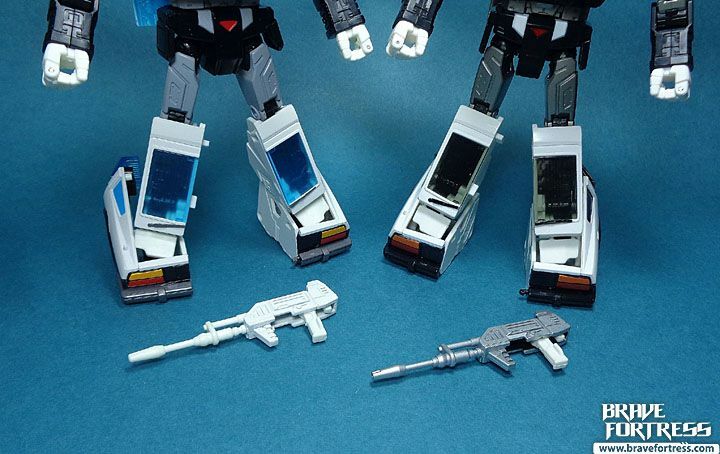 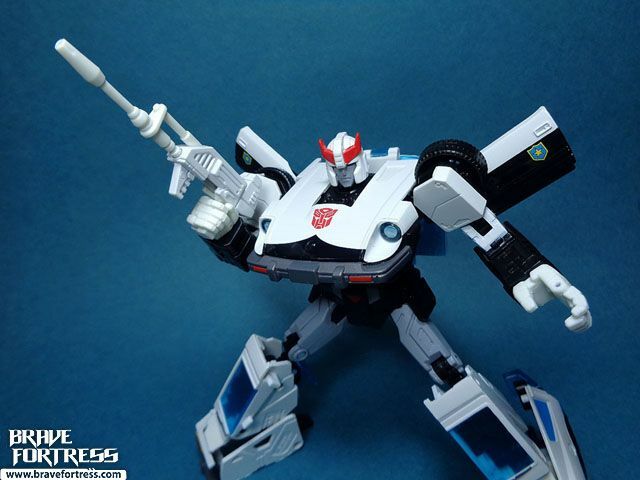 Comparison with the regular MP-17 Prowl. 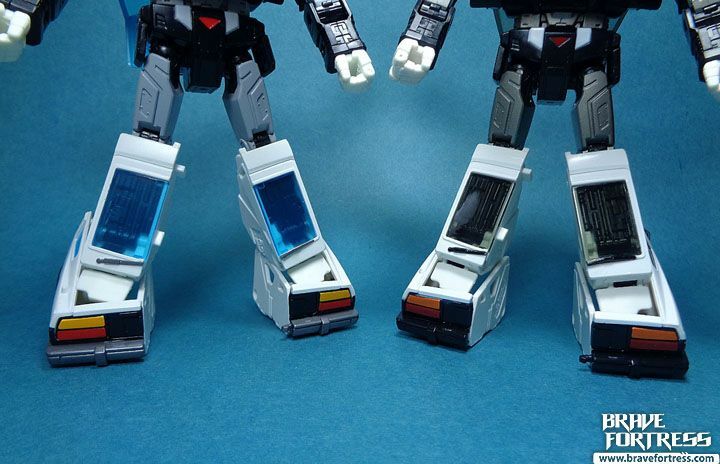 Different colors on the bumper, side view mirrors, more “matte” white finish on the MP-17+ Anime version. 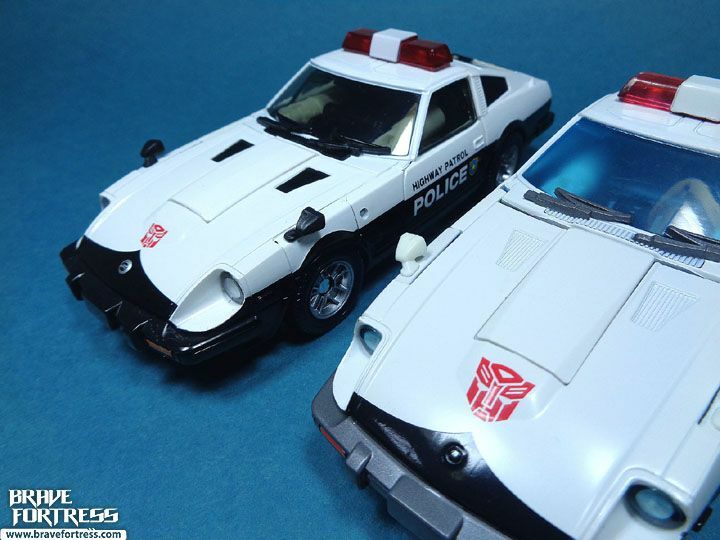 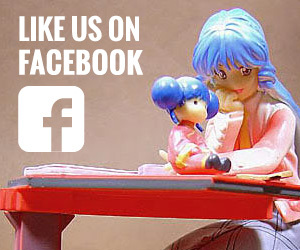 MP-17+ Anime version on the left.